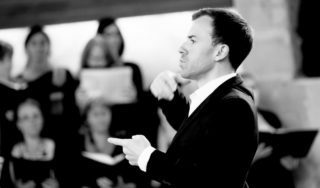 Montreal native Martin Robidoux is pursuing his career as a harpsichordist, choir director, vocal coach, and musical director. A graduate of the Conservatoire de Musique de Montréal and of the Conservatoire National Supérieur de Musique et de Danse de Paris, he has won many national and international competitions, as well as grants and scholarships. Robidoux has performed around the world as a soloist and has conducted many orchestras and choirs, from the Conservatoire de Puteaux to the Chapelle Royale du Château de Versailles, via the Académie de Musique de Paris. For his first concert in the auditorium of the new Canadian Cultural Centre, Robidoux will be playing a programme of works for harpsichord.